The new exhibition at the Clink Prison Museum in Southwark will explore tales of religious theories and traitors. The display will cover the tumultuous time of change that occurred throughout the reigns of Henry VIII, Bloody Mary, Elizabeth I and James I and will feature stories of spies, invisible ink and terrible tortures. Accounts of personal histories, including that of the prisoner who became a saint, and another who secretly married from within his cell, will be used to bring a human touch to the history of the site. However, while the museum will use personal accounts to educate the public about those who lived, and died, at the Clink Prison during the 16th and 17th centuries, the new exhibition will also set their stories in amongst wider historical context allowing visits to be tied in with the curriculum. The new exhibition can be used to complement the curriculum for Key Stages 1 to 3 and a visit can be tailored to suit different ages of students. For example, a visit can be used to teach Key Stage 1 students about significant historical events, people and places in an interactive manner. Meanwhile, the exhibit can assist in teaching Key Stage 2 students about the changing power of monarchs. Whereas, for Key Stage 3 the exhibition can be used as an example of the development of the Church, stage and society in Britain from 1509 to 1745. Guided tours of the museum are also available when pre-booked. 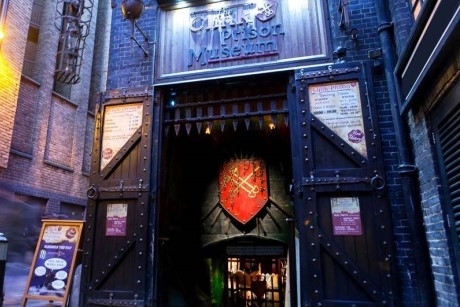 The Clink Prison Museum is built upon the original site of The Clink Prison, which is believed to be one of England’s oldest and most notorious prisons. Visiting school groups will learn through a series of hands-on educational experiences, with the opportunity to view archaeological artefacts, handle torture devices and to view and hear about the tales of torment and misfortunes of the inmates. For more information, visit www.clink.co.uk/education-at-the-clink.html#edu.